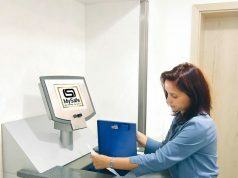 Vittoria Safeboxes has been set up in the Jewellery Quarter to help tackle security fears among householders throughout the region seeking storage for gold, jewels and other valuable possessions. 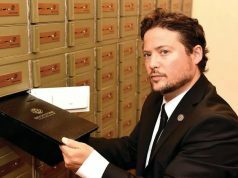 Read more from The Birmingham Post here…..
A Birmingham firm is bridging a yawning gap in the banking world – and offering peace of mind to customers with valuables to store. Vittoria Safeboxes has been set up in the Jewellery Quarter to help tackle security fears among householders throughout the region seeking storage for gold, jewels and other valuable possessions. The new facility, which opened just before Christmas, has already attracted wealthy clientele, including well-heeled lawyers, accountants and footballers seeking a safe refuge for their valuables. Vittoria Safeboxes is housed in the Jewellery Quarter on Vittoria Street, opposite the Ramgarhia Sikh Temple, after the banking crisis led to the withdrawal of traditional safety deposit boxes. In a little publicised spin-off from the banking meltdown dating back to the bailouts of autumn 2008, many high street banks are now asking their customers to remove valuables from deposit boxes as they withdraw the service. The cutbacks have left thousands of people in a quandary, at a loss where they can now store their possessions. Director Harvinder Chatha said: “We feel we are filling a gap left by the banks and giving customers peace of mind in providing a secure location to store their valuables. “It is a new string to our bow. We have numerous business concerns but have recognised that this facility would be needed in the community because high street banks have withdrawn their services.